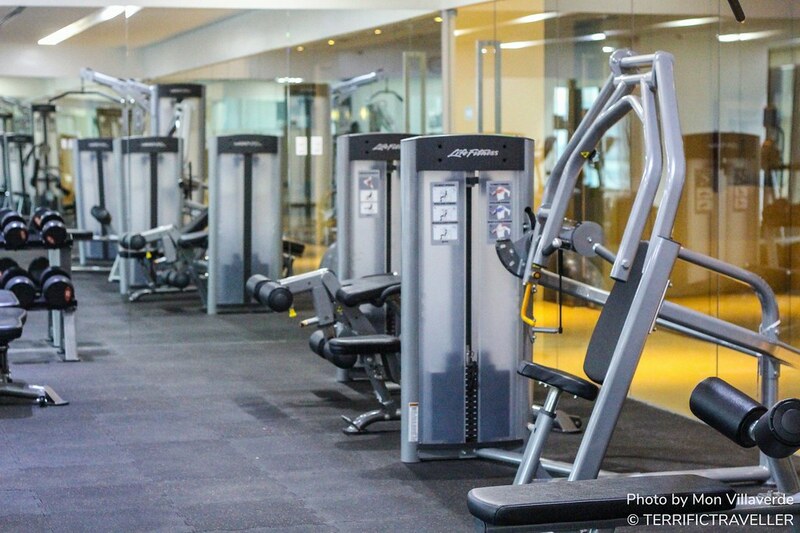 Perfect for fitness conscious hotel guests, who don’t want to miss leg day even when on a staycation. I spent an hour on a treadmill and didn’t get bored! Their treadmills are all connected to a television, and you can control the programme, insert your earphones, and just listen to music videos. I think this is my favorite part of my whole stay at City Garden Grand Hotel. 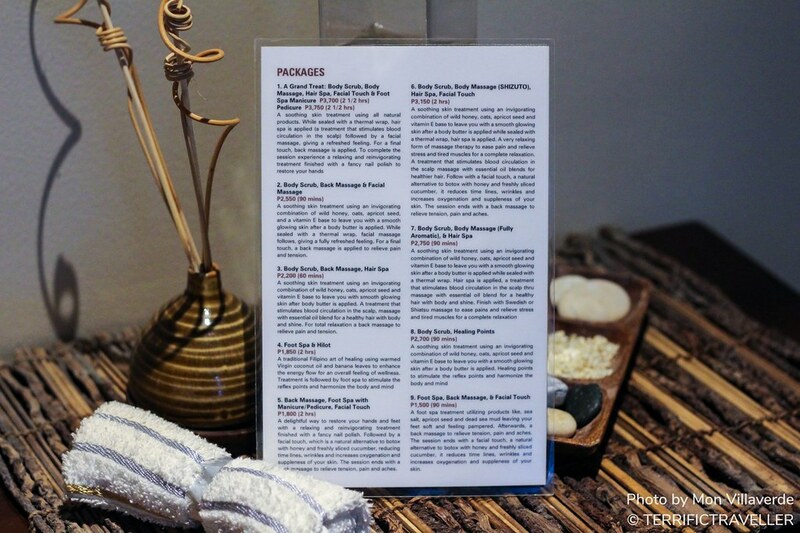 I brought along a friend to try the spa’s signature services, and we were not disappointed at all! To see the Spa Body Treatments clearer, if you are using a mobile phone/tablet, just zoom in the page. If you are using a desktop computer or laptop, right click and save the image. 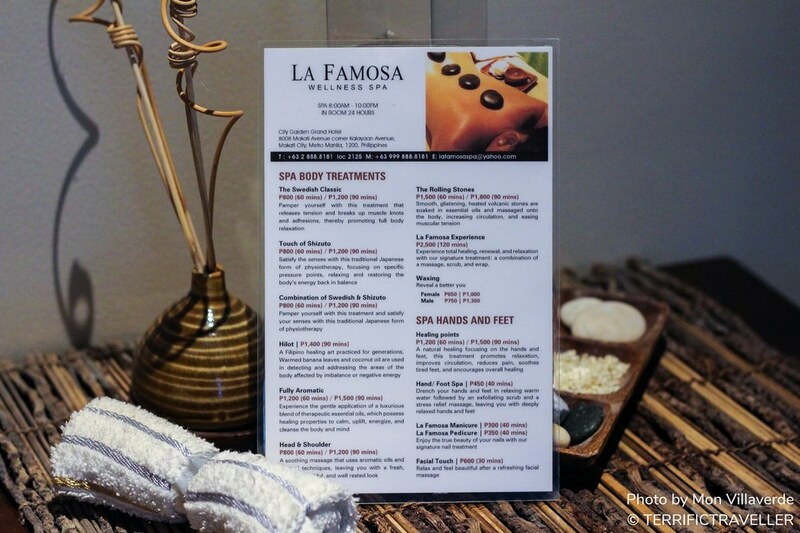 From all of the exciting packages above, we availed their “La Famosa Experience” package, which costs P2,500 and lasts 120 minutes. I was offered hot green tea while waiting for the room to become available, and while waiting, I also took some shots of the reception area and sink decoration and massage area. I know you are looking for photos of the massage proper, sorry but I didn’t take any because we were literally 95% naked! hahaha, good thing there were towels covering us while we were pampered by La Famosa Spa’s expert therapists. The whole experience was “sulit” and total relaxation is guaranteed. 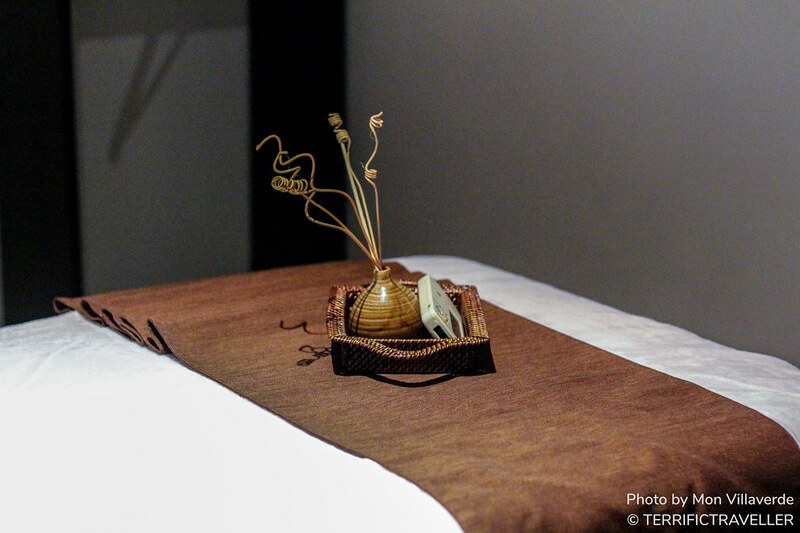 So make sure to book a spa service while having a staycation at City Garden Grand Hotel.